Prominent & Leading Manufacturer from Ahmedabad, we offer epson long throw projector, epson short throw projector, viewsonic long throw projector, viewsonic short throw projector, short throw projector kit and long throw projector kit. Ideal for the meeting and huddle rooms, the affordable Epson projector is a multi-functional, packed with features and the perfect choice to present true-to-life images. Captivating presentations are now possible with stunning colour and white brightness of up to 3,300 lumens to ensure crystal clear images. The intuitive home screen puts all commonly used functions together for easy selection. 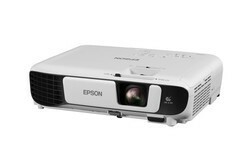 For smooth, uninterrupted presentations, look no further than Epson’s series of short-throw projectors. With short-throw projection ability, glare or shadow interference will no longer be a hindrance. Enjoy significant cost-savings as well, with 10,000 hours of lamp life in eco-mode. 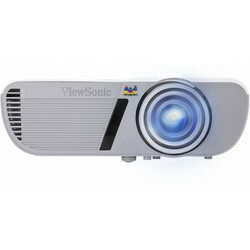 The View Sonic Long Throw projector for presentations offers impressive visual performance in small sized meeting rooms and classrooms. Packed with up to 3600 ANSI Lumens of brightness and a 22,000:1 contrast ratio, the projector is guaranteed to project the finest of details, even in brightly lit environments. ViewSonic’s exclusive SuperColor™ technology offers wide gamut color coverage that produces true-to-life image color for realistic and engaging image projection. Users can unlock 3D capabilities with 3D-ready technology. this also comes with an energy efficient SuperEco feature which reduces lamp power consumption by up to 70%, and extends the lamp life to 15,000 hours on average. 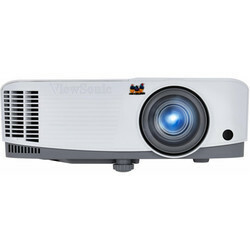 The ViewSonic XGA short throw projector features 3,300 ANSI lumens and 22,000:1 contrast ratio to offer impressive visual performance. ViewSonic’s exclusive SuperColor™ technology offers wide gamut color coverage that produces true-to-life image color. 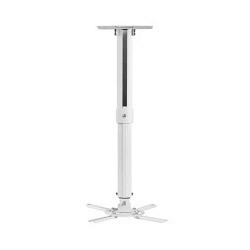 With 0.61 short throw, 100” images can be projected onto the projection screen from only 1.24 meters away, keeping the projection beam on the screen and off of the presenter, preventing distracting shadows from being cast onto the projection screen. The extensive connectivity including dual computer in port and 1 monitor out port, allowing users to connect to a variety of HD devices or additional displays to satisfy the diverse needs. this also comes with energy-saving SuperEco mode which reduces power consumption and extends the lamp life by up to 10,000 hours, reducing the frequency of lamp replacement and lower the replacement costs. We are offering Short Throw Projector Kit to our clients. We are offering Long Throw Projector Kit to our clients.